I'm the rough-coated, Lassie type. 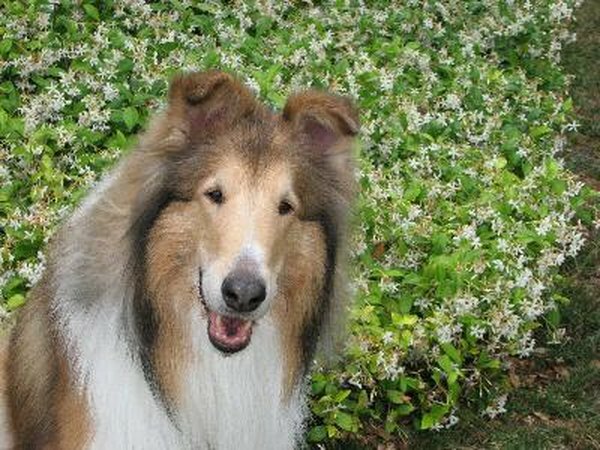 If you mention the word "collie," most people immediately think of Lassie. The famous male dogs playing that female super-canine were rough-coated collies, but that is far from the only type bearing the collie name. In their native Scotland, all sheep-herding dogs were called collies. The classic "Lassie"-type collie possesses the long, "rough" coat, while the smooth-coated version has short hair. Both types come in sable and white, the "Lassie" shade; tricolors, with black added to the sable and white; blue merle, a marbled gray and white; and white, which also includes sable or blue merle markings. Full-grown collies range from 22 to 26 inches high at the shoulder, with males larger than females. 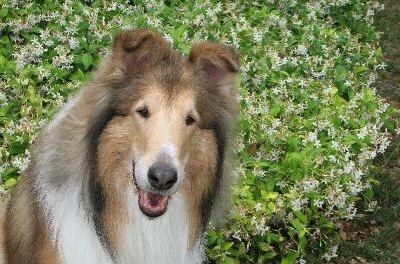 The ideal collie temperament is, well, like Lassie's—brave, intelligent, loyal, able to save kids who have fallen down wells. Maybe that last part only happens on TV. Bearded collies, also known as Highland collies, get their name from their facial hair. Mature "beardies" range between 20 to 22 inches tall at the shoulder, with males larger than females. Your puppy's color may change as he grows. Adult beardies may be dark gray, light gray or brown with white. He's got a double coat, so like most collies needs regular grooming. Shaggier than other collies, his appearance is part of his charm. He makes a good family dog, but requires a fair amount of exercise. The American Kennel Club describes the border collie as "the workaholic of the dog world," and that may be an understatement. This is a dog who needs a job. If he can't herd sheep, he requires something else to hold his interest. Agility, obedience and other canine sports are good outlets for that border collie energy. This is one smart dog—you may find your border collie is brighter than some of your human acquaintances. At maturity, the border collie stands between 18 and 22 inches tall at the shoulder. He may be black and white, merle and white, sable and white, tricolored or solid in color. Often referred to as the miniature collie, the Shetland sheepdog resembles a small rough-coated collie. It originates from Scotland's Shetland islands, where due to the harsh climate many domestic animals became diminutive—think Shetland pony. Shelties mature between 13 and 16 inches high at the shoulder. Smart and loyal to his person, the sheltie may be shy with strangers. If you'd like a collie but live in a smaller space, the sheltie may be a good choice. He still needs regular exercise, as all collie types are active dogs.